Look at things from a different angle with Waterlase Side Firing Tips. Ideal for safely and effectively debriding implant threads with the unique 180 Degree tip. Peri-implantitis is a growing problem in the implant industry, offer your patient the treatment they're seeking with the REPAIR implant protocol for flapless, acid-free debridement of the implant and surrounding tissues. During the Implant Debridement step of the protocol, the new Waterlase Side Firing Tips are used to debride implant threads safely and effectively. 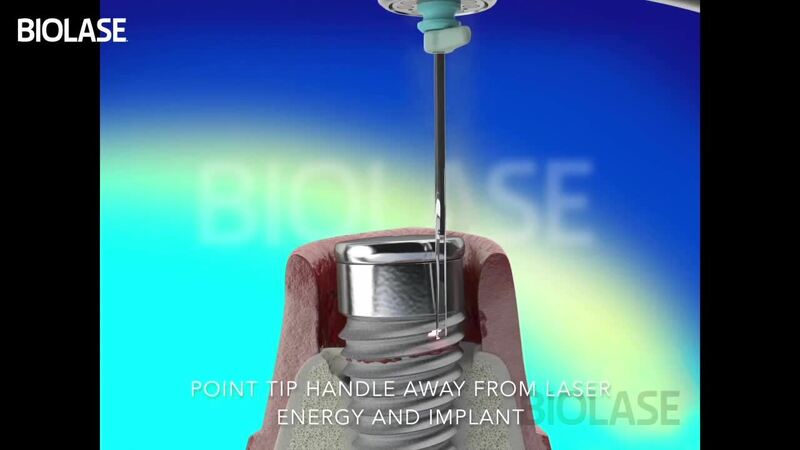 This new dental laser tip will fit the Waterlase dental laser from Biolase. Transforming the management of Peri-implantitis. 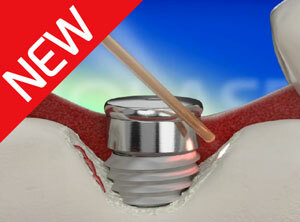 The Side Firing Tip is a premium sapphire tip that will transform the management of peri-implantitis. The Waterlase Side Firing Tip is superior to traditional implant debridement methods, as it is ideal for safely and effectively debriding implant threads. The new Waterlase Side Firing Tips offers more features and benefits than traditional tips. How do Side Firing Tips for dental lasers work? 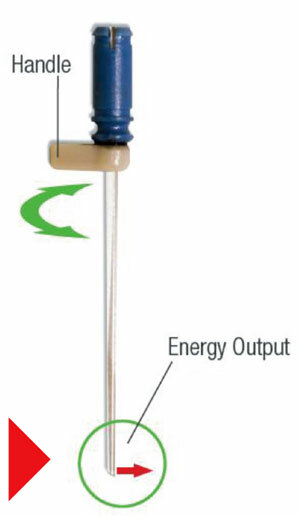 The Side Firing Tip features a directional handle that allows the user to direct the energy output laterally opposite of where the handle is facing. The Side Firing Tip allows access to subgingival infected titanium surface and in-between threads, without opening a flap. When should Side Firing Tips be used? 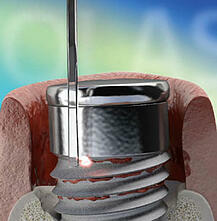 The Side Firing Tip is used during the Implant Debridement step in the REPAIR Implant protocol. NOTE: When using the Side Firing Tip, The Orientation of the tip handle should be the opposite (180 degrees) the direction of the laser energy output. Please continue to refer to the REPAIR Implant protocol for all the other recommended tips for other steps within the protocol. Browse the wide range of Biolase tips on offer from Optident to purchase online or book a free dental laser demonstration.